Within the project “Strengthening public integrity in the Republic of Srpska and the Federation of BiH”, in cooperation with the Ministry of Justice of the Republic of Srpska, a practical guide for reporting corruption as a wall poster has been prepared. Posters were distributed to addresses of more than 1000 institutions and organizations in all municipalities and towns in the Republic of Srpska (ministries, government institutions and organizations, local self-government units, medical and educational organisations, courts, prosecutors’ offices, police departments, public enterprises, etc.). The poster is intended for employees in afore-mentioned institutions and organizations, as well as for all of those who use their services. It provides information and instructions on the possibilities for reporting corruption, content of the report, protection of whistle-blowers and free legal assistance which is available for them. 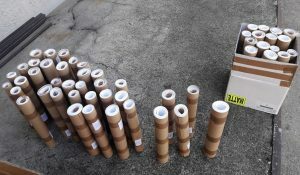 The preparation and distribution of posters is in line with implementation of the measures defined by the Strategy and the Action Plan for the Fight Against Corruption in the Republic of Srpska, related to the promotion of the Law on whistle-blower protection in Republika Srpska. The project “Strengthening public integrity in Republika Srpska and the Federation of BiH”, supported by the UK Government through UK aid.